If you have work that is unpredictable, information-centric and requires human decisions and discretion, you can benefit from a case management solution approach. Organizations across industries are successfully leveraging case management solutions to tackle areas like contract management, customer service, investigations, claims processing and incident tracking. 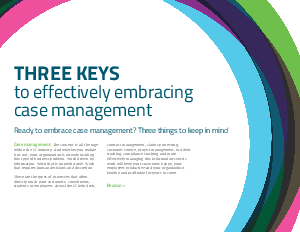 When it comes to embracing case management, where should you start?